Stay care-free under the sun and enjoy your outdoor activities! For those of you who are animal print lovers, you will love our Beige Zebra Print Cap which features zebra print all around the hat. Made out of 100% cotton, this print cap features 6 paneled, low profile crown that measures 4 inches deep and 2 3/4 inches long pre-curved bill. Cap is fitted with adjustable velcro-rized strap closure, so you can easily adjust the size as you wish, allowing the head size to fit up to 7 1/2. 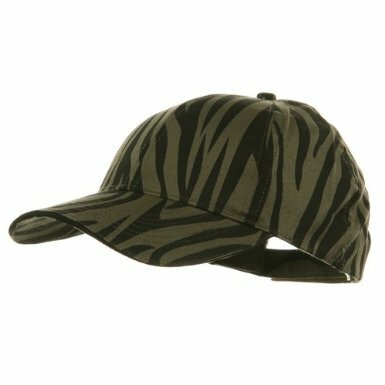 This cap strongly appeals animal print of zebra, so if you want to show that zebra print appealing look, then this cap is just for you. 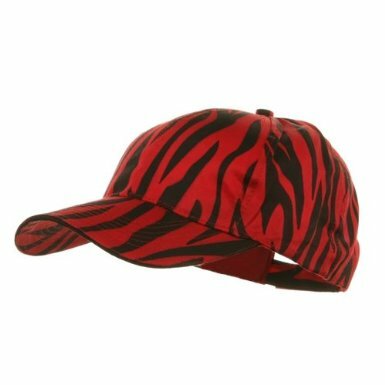 Allow yourself to choose from 5 different fashion colors we offer in this unique zebra print cap. Made of 100% cotton. ONE SIZE fits most with adjustable velcro-rized strap closure, fitting up to 7-1/2. Crown measures 4 inches deep,structured, 6 panels, low profile. Bill measures 2 3/4 inches long, pre-curved bill. Thick, soft and light material. Hand wash only. Available in white, olive, beige, orange and red. Imported. Available in Red Zebra too!